Did you know there are more than a dozen world-class wine regions across Northern California? California wine goes beyond the quick hour’s drive to the world-renowned Napa and Sonoma wineries. Most of these unique wine regions are within a one- to two-hour drive of Sacramento, without the congestion and traffic of the Bay Area, making SMF the easiest gateway to these amazing destinations for visitors from across the globe. In about an hour, you can experience the brilliant chefs at famous restaurants and bistros along with incredible wines to the west in Sonoma County and Napa Valley. North of there by another 30-60 minutes visit boutique wineries throughout rustic Lake and Mendocino Counties, which specialize in organic and biodynamic wines. If you head east from SMF, you can sample sensational wines on the way to Lake Tahoe. About 30 minutes east on Interstate 80 are the developing wine regions of Placer County and the Sierra Vintners where you can sip Pinot Noir or Riesling while experiencing areas rich in Gold Rush history. About an hour’s drive east along, state Highway 50 and the historic Highway 49 (to the north and south of Placerville), there are several up-and-coming wine regions including: El Dorado County, Amador County and Calaveras County which are known for their Old Vine Zinfandels, Barberas and Rhone varietals. Venturing south from SMF, wine lovers will find a treasure in Clarksburg, just minutes from downtown Sacramento, where you can visit multiple wineries and tasting rooms. Just a short 30-minute drive further to the south on I-5 is the Lodi wine region, famous for award-winning Zinfandels and named 2015 Wine Region of the Year by Wine Enthusiast magazine. For those wanting to complete the Northern California wine tour, Livermore Valley is not to be missed for its Bordeaux style wines. Livermore Valley is just 90 miles south of SMF on the outskirts of the Eastern Bay Area along Highway 580. Then don’t forget to cap off your day of wine tasting with a visit to dozens of top-notch restaurants throughout the Sacramento region, the Farm-to-Fork Capital of the United States. Sacramento’s Farm-to-Fork Festival which celebrates the entire bounty of Northern California’s agriculture, draws more than 60,000 and will take place on September 29, 2018 in downtown Sacramento. 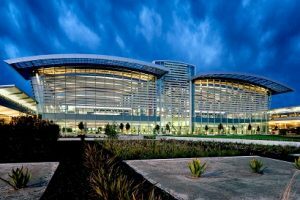 Sacramento International Airport offers more than 160 nonstop flights per day from 35 cities, many of which also have great food and wine scenes. We make it easy to access our food culture from cities such as: Austin, Baltimore, Charlotte, Chicago, Dallas, Denver, Los Angeles, New Orleans, New York, Portland, San Diego, Seattle, St. Louis, Washington, DC and currently serve three of the four Hawaiian Islands. Clearly Northern California provides abundant opportunity for wine lovers to enjoy numerous varietals and wine-making styles. With the easiest access to Northern California’s world-class wine regions of any major U.S. airport Sacramento International Airport offers a travel experience worth toasting. Heather Atherton is a travel, food and lifestyle writer based near Sacramento, California. Heather is also a PR consultant to the Sacramento International Airport.